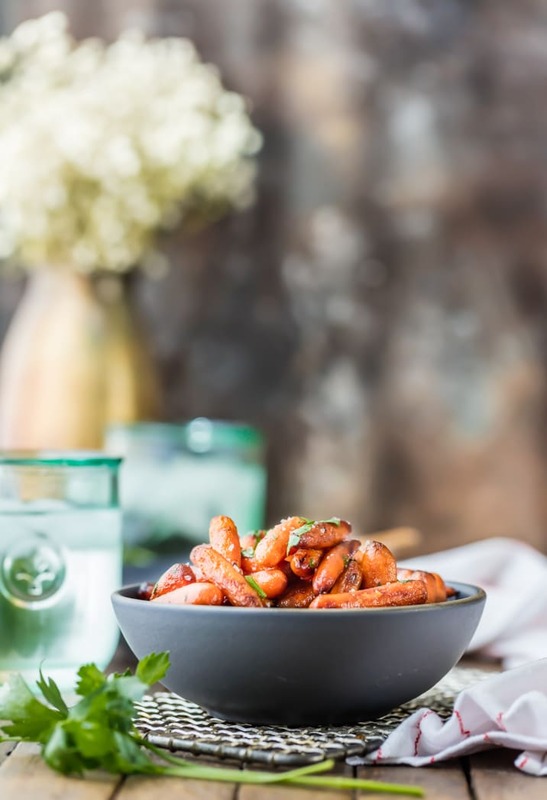 Honey Balsamic Roasted Carrots. You’ll look like a chef but you’ll secretly know this is the EASIEST side dish EVER! Perfect healthy side for Thanksgiving! 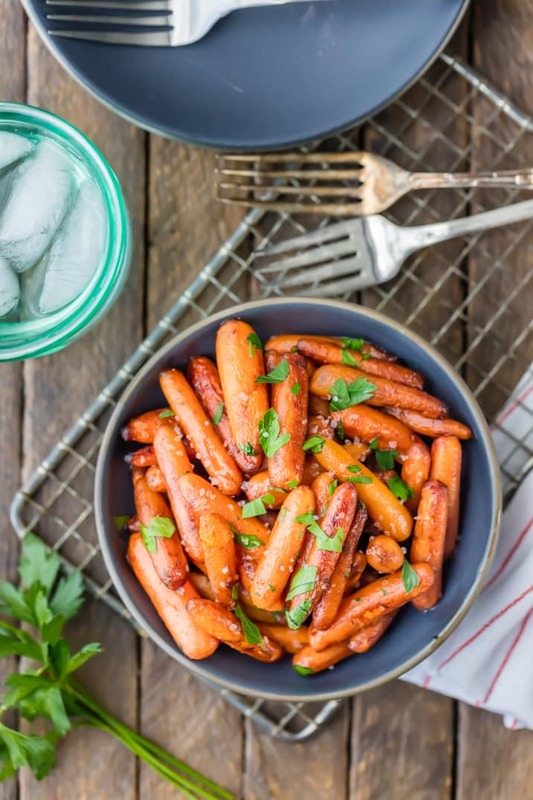 This carrot side dish is a favorite on the site and you’ll be sure to love it too! Since Pat and I built our house, we have hosted Thanksgiving. My parents live out of town and we usually go there for Christmas, but for two years now, Thanksgiving has been in STL. My mom is an amazing cook (she has a blog too! Simply Sated), so she always helps me, and we make the menu together. 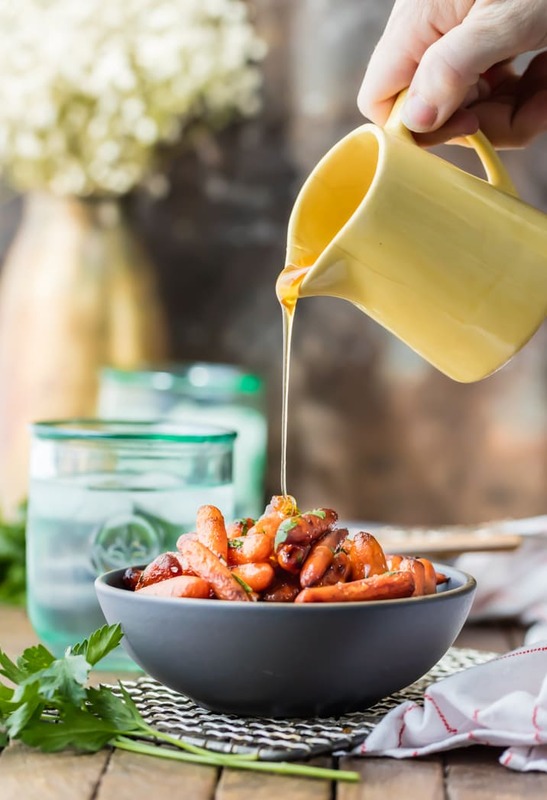 Easy and delicious recipes rule the roost, and these Honey Balsamic Roasted Carrots are PERFECT! One side down…many to go! This side dish is beyond easy. You’ll look like quite a chef, but you’ll secretly know this is 100% fool proof. You cannot mess this winner up! I love how the honey plays with the balsamic. Tangy and sweet is a really good combo you guys. Trust me. 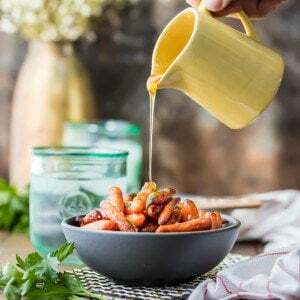 Wow your friends and family with this simple and perfect Honey Balsamic Roasted Carrots dish this Thanksgiving. You’ll be glad you don’t have to spend all day in the kitchen, and they’ll be glad that they get to taste something so yum! Enjoy! Watch the video or see the recipe card to see How to Make Balsamic Roasted Carrots. 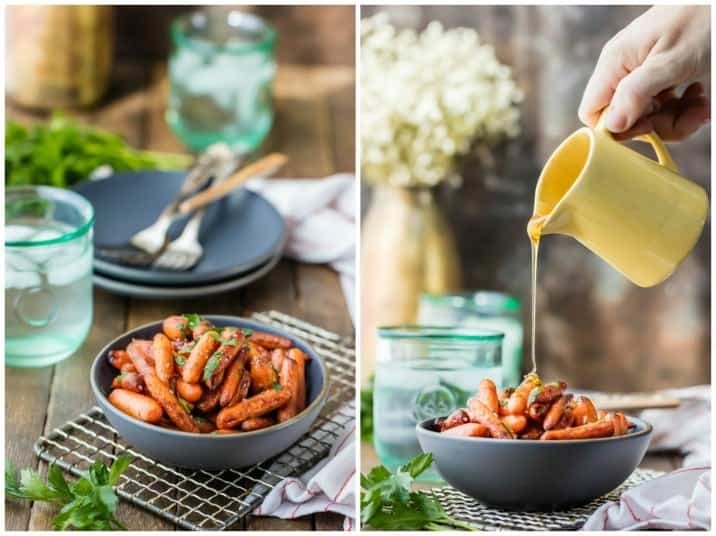 Honey Balsamic Roasted Carrots. You'll look like a chef but you'll secretly know this is the EASIEST side dish EVER! Perfect healthy side for Thanksgiving! 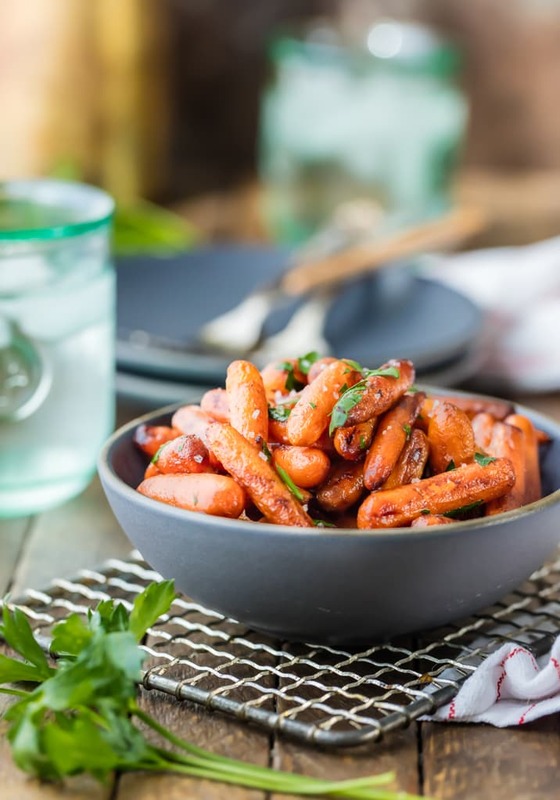 This carrot side dish is a favorite on the site and you'll be sure to love it too! Preheat oven to 400F. Spray a small/medium baking dish with nonstick spray. 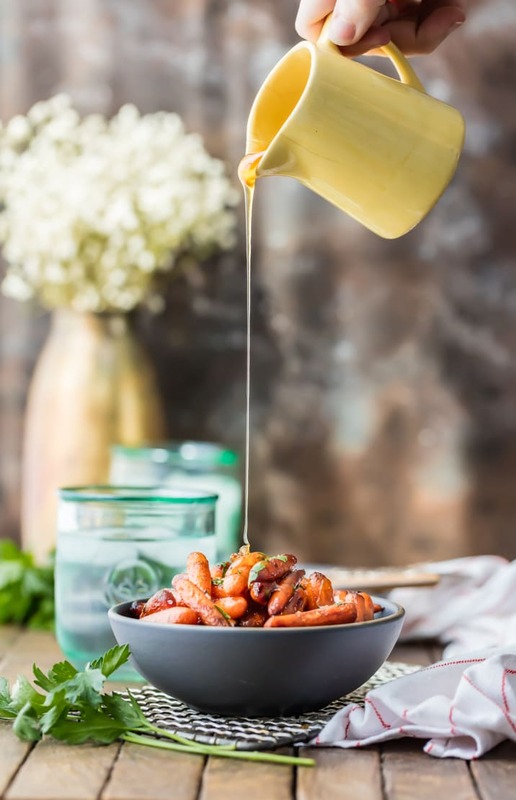 In a medium sized bowl, whisk together the honey, balsamic vinegar, and olive oil. Toss the carrots in the balsamic mixture and coat well. Place carrots in baking dish and pour any remaining sauce over the carrots. Bake for 40 minutes, stirring once, until tender and carmelized. Remove from oven and drizzle with more honey. Thanks Amanda! Means a lot! 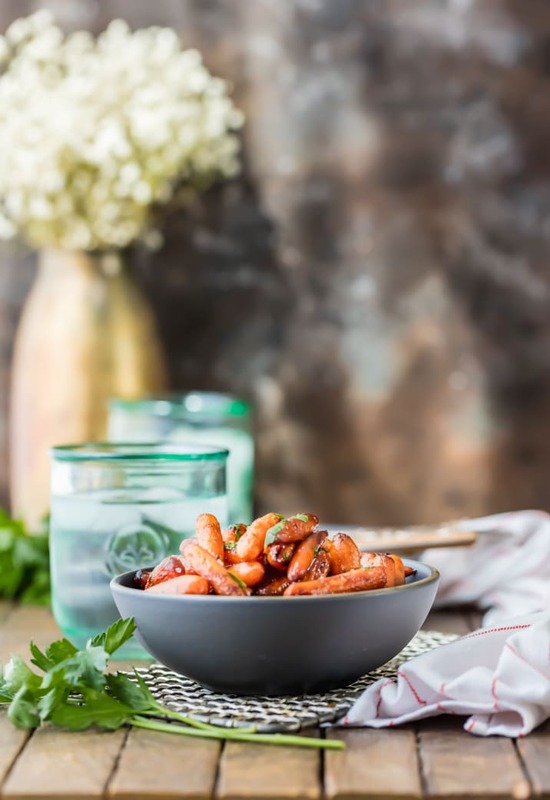 There is nothing better than honey roasted carrots. Beautiful pics! 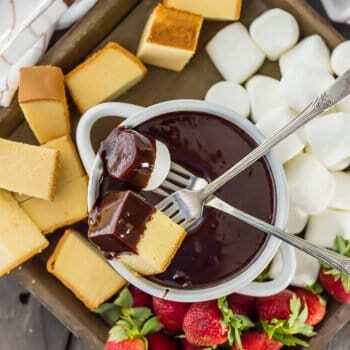 Ok so I am making these tonight! OmGee! I have never seen tastier carrotrs. Your photography is amazing!!! Yay! Hope you love them!!!! I started making roasted carrots for easter a few years ago and have become obsessed! These look fantastic!! Thanks for the shout-out and the sweet comments, Bec. 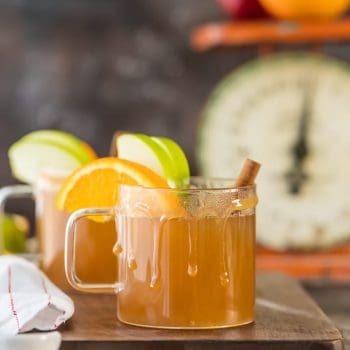 This recipe does look like the perfect Thanksgiving side. I look forward to eating it this Thanksgiving. Gorgeous photos, once again!! What a wonderful side dish…I love anything balsamic and these look so easy, they’re definitely going on the Thanksgiving menu this year! Your pictures are stunning! They’re such a good thing to have around! Thanks Lauren! These photos are stunning!! 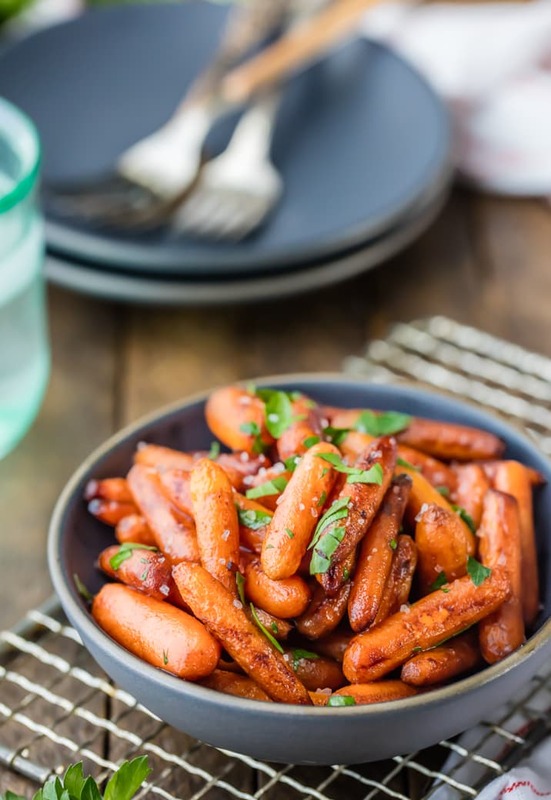 I love roasted carrots so I am definitely going to try your version, sounds so good!! Thanks girl! Means a lot coming from you and your gorgeous photos!